Wayward Pines, a psychological thriller based on the trilogy of books by Blake Crouch, brings Hollywood to the small screen. Oscar-nominated movie actors, some of whom have never previously been involved in a television project, dominate the heavyweight cast. M. Night Shyamalan is making his first foray into the world of television as one of the series producers as well as the pilot director. Wayward Pines is a limited-series show, with 10 episodes scheduled to begin airing on Fox on May 14, though no one is ruling out additional seasons if all goes well. Having a complete story told in 10 episodes is part of what attracted the film industry regulars, because there is none of the long-term commitment typically expected in television. Fixed-length series can also tell more compelling stories because the story arc does not have to be stretched out indefinitely. From what we have seen in interviews, the idea of playing characters that can evolve during the production of a series in response to the actor’s portrayal or great chemistry amongst cast members appears to be a novel idea to these film veterans. Television may be just as mysterious to these series newbies, as the town of Wayward Pines is for new arrivals. 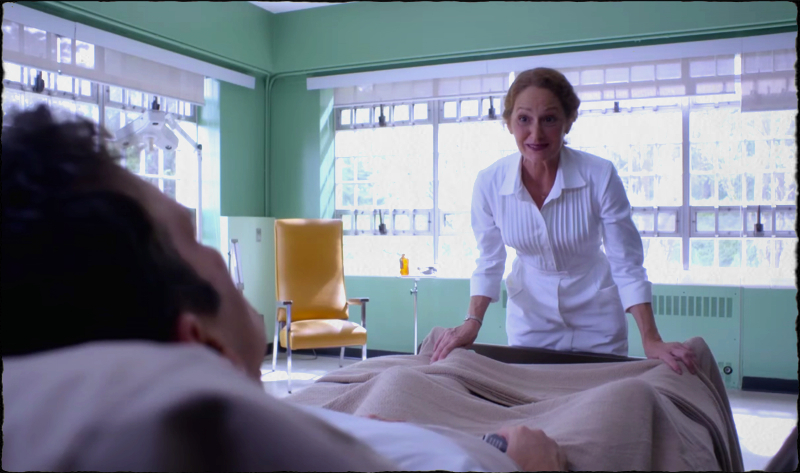 Oscar-nominated Melissa Leo plays Nurse Ham. Other high caliber stars include Carla Gugino, Terrence Howard, Juliette Lewis, and Toby Jones. Work hard, be happy, and enjoy your life in Wayward Pines! The last expectation certainly seems the most disturbing, although having to always answer the phone is also pretty worrisome. While Ethan is trying to figure out how he can return to his wife Theresa (Shannyn Sossamon) and son Ben (Charlie Tahan), Theresa is back in Seattle trying to find him. Tim Griffin plays Ethan’s boss, Adam Hassler, who explains to Theresa that there’s been a car accident, but a body has not been recovered. 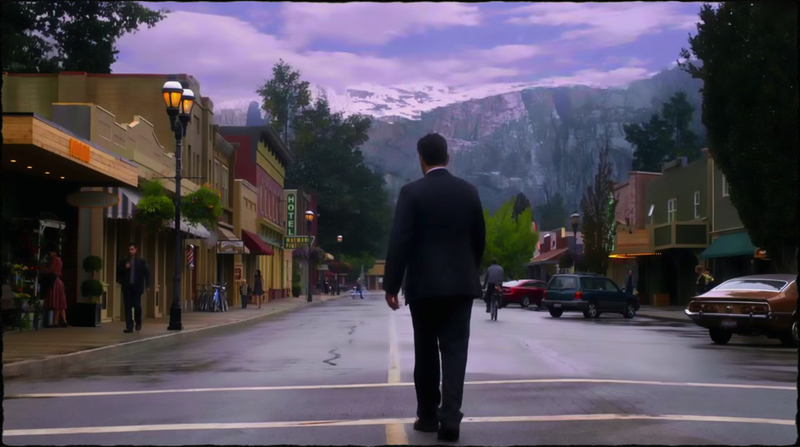 Wayward Pines will uncover some of what’s going on in the town as the series progresses, with stories of individual characters unfolding throughout the larger story arc. Though there will be surprises and shocks throughout the series, the major plot twist takes place in the middle of the series, rather than as a huge reveal at the end. The twist, of course, is probably why Shyamalan agreed to be attached to the project. We are told that, “The truth is worse than you can possibly imagine,” which for many viewers will be more of a challenge than a promise. In any event, the twist will cause a major shift in the narrative. The first half of the series will focus on the question of what exactly Wayward Pines is, while during the second half we will see what the characters are going to do about it once the mystery is exposed. Comparisons have been made with Twin Peaks and The Twilight Zone, but with a much more menacing feel and a more complicated narrative caused by the plot twist. Wayward Pines premieres on Fox on Thursday, May 14 at 9pm EST.